Slide to the next stage, then move the blue points around the perimeter to find the line of best fit for the points shown. Then keep advancing stages to see how well you do. Click the button for a new set of points. The object is to estimate the 'least squares' line. Stage 1 shows you the points. Stage 2 gives you the opportunity to estimate the line of best fit. Stage 3 plots the residuals. Stage 4 give you the 'square' of the residuals. 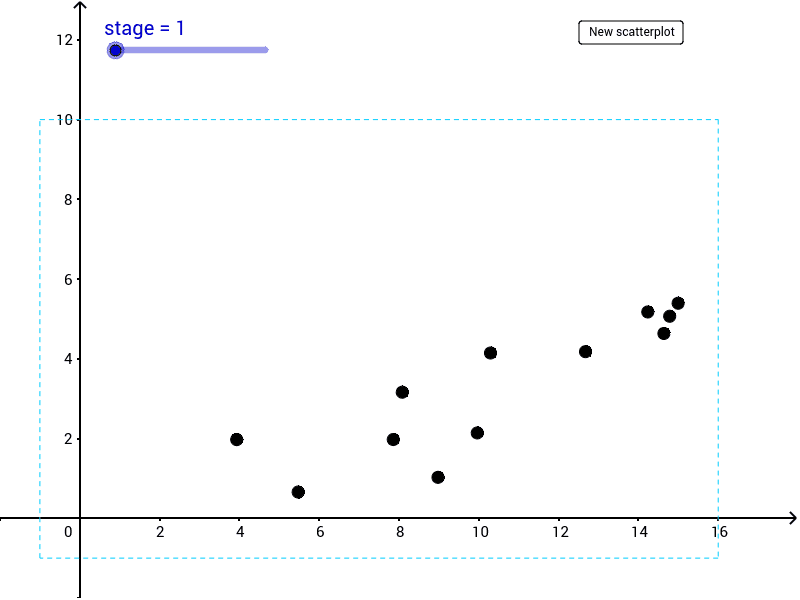 Stage 5 reveals the true least squares regression line.